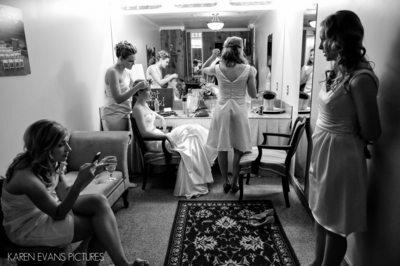 Lauren and Jessica were married in Columbus at The Boathouse, but we started their day with them at The Crowne Plaza hotel in downtown Columbus, where they were getting ready with their friends and family in separate rooms. I had a second photographer with me, so we were each able to spend uninterrupted time with both Lauren and Jessica during this part of their day, which included dressing and champagne toasts and tears and laughter. Lauren and Jessica wanted to see each other prior to the ceremony so we could go around town taking pictures, so we scouted the hotel to find just the perfect location for their first look, settling on a long, empty hallway with great window light and some nice graphic elements. Jessica arrived to the meeting spot first, where I met her and made some photographs of her, most notably the one included in the gallery – the very first picture, in fact – of her nervous hands. 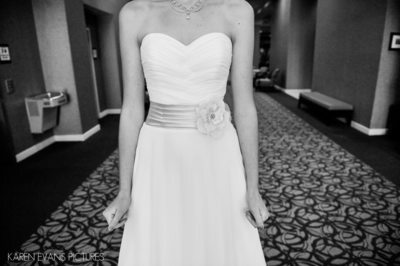 I love hands in pictures, and hers spoke so much even without her face being visible. Lauren came down shortly after and their first look was delightful. 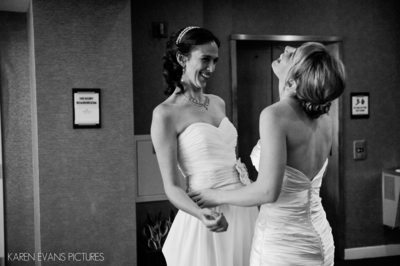 They checked out each other's dresses and got to fawn over each other and laugh and kiss. 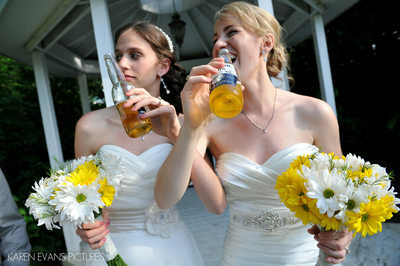 I always suggest a first look to my couples for this very reason. 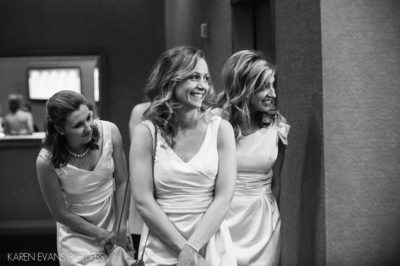 Having the ability to spend some time together before walking up the aisle is a great stress-reliever. 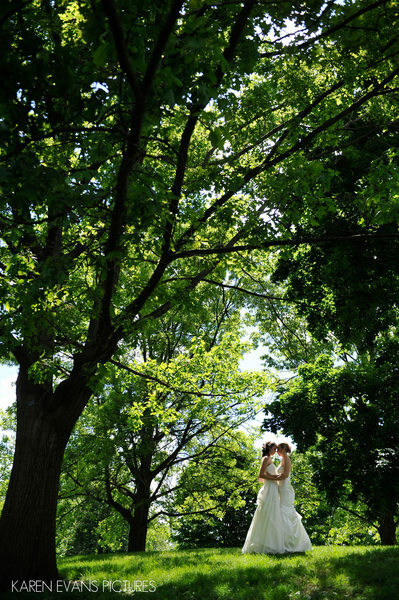 After their first look, we made our way down to the trolley that took us around The Ohio State University campus, where we did pictures at the Faculty Club, the Oval and Mirror Lake. 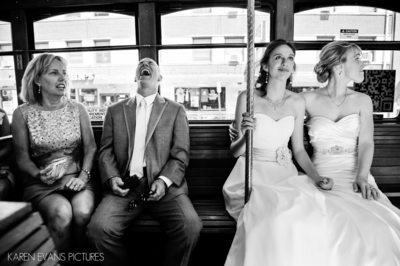 The wedding party was so much fun and so funny - the trolley ride was a complete riot, and picture time was a blast. We then headed to Goodale Park and their dog Lucy joined us for pictures. 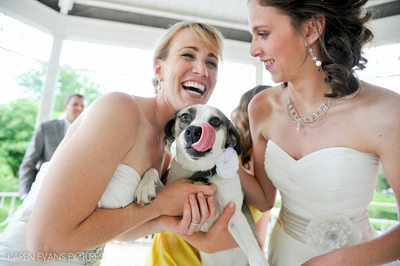 Dogs in wedding pictures are always fun, and Lucy was adorable, and, of course, was petted and loved on by everyone. 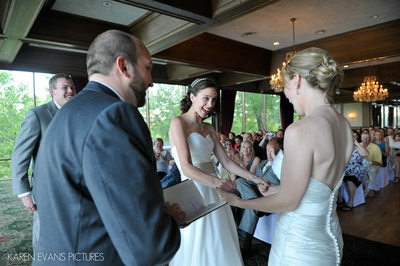 The large ballroom at The Boathouse was the site of the ceremony and it looked absolutely lovely, so bright and airy. 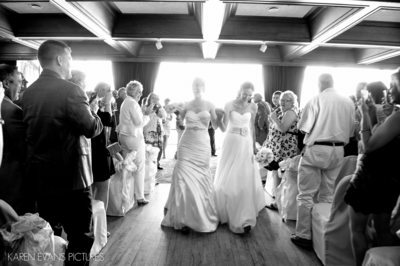 Lauren and Jessica were each escorted up the aisle by their fathers, and it was so emotional. 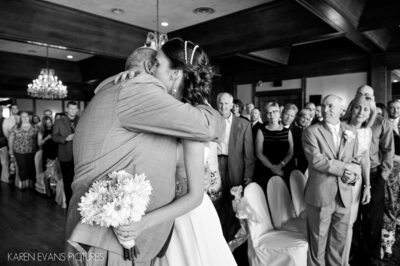 I think Jessica's dad cried the whole way up! It was really hard to not be emotional myself; the love in the room was palpable. 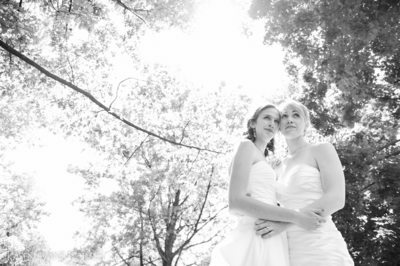 Lauren and Jessica had written love notes to each other to be sealed into a custom-made wine box they would open on a later anniversary, but it turns out Jessica forgot to bring her letter, and that garnered a big laugh from everyone. 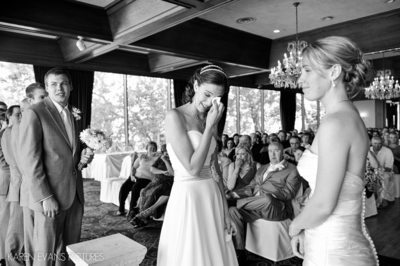 The whole ceremony was like that – tears one minute, laughter the next. After we did a few pictures at the gazebo on The Boathouse property, we went back inside for their introductions, toasts, dinner and dancing. And, don't forget the cake. Lauren and Jessica's cake-cutting was some of the most fun I've seen. Jessica is so animated and made it hilarious for everyone. And then, of course, they had to smash cake all over. The guests joined in the fun by dancing the night away and wishing the couple well. 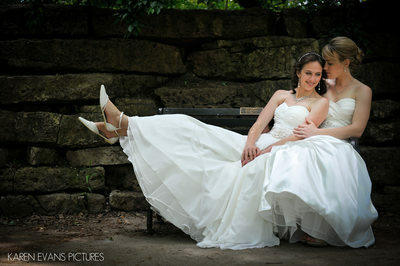 It was one of the most lovely, heartfelt, emotional and sweet weddings I've photographed.